– Joaquin Flores – Support Flores’ Patreon! TUE’s – Therapeutic Use Exemptions – are almost exclusively granted by the US dominated IOC, to – not surprisingly – American (and friends) athletes. Methylphenidate is used to treat ADD/ADHD Treatments for ADD/ADHD – itself a highly questionable ‘ailment’ – which are related to amphetamines and are by any definition, a performance enhancer. See the word ‘meth’ in there? Think ‘meth’, indeed. Prednisone is a cloaking agent which eliminates otherwise trace agents of actual performance enhancers. Alexander Shcherbakov: The World Anti-Doping Agency (WADA) authorized American tennis players Serene and Venus Williams to use banned drugs. 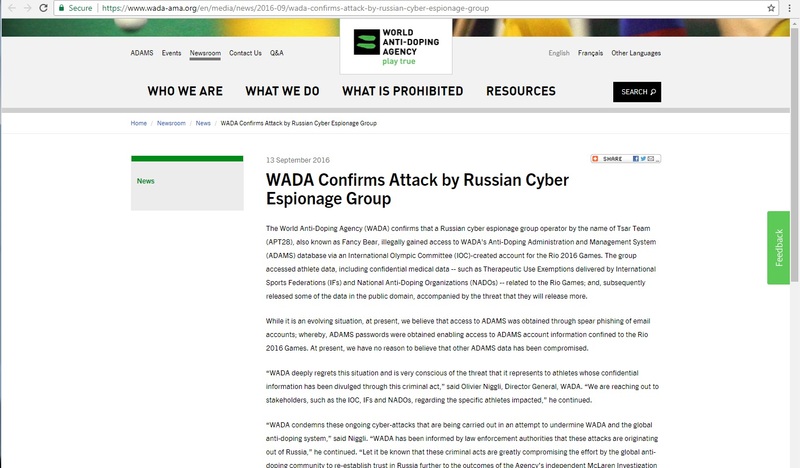 The corresponding documents were published by the hacking group Fancy Bear ( https://fancybear.net/ ). 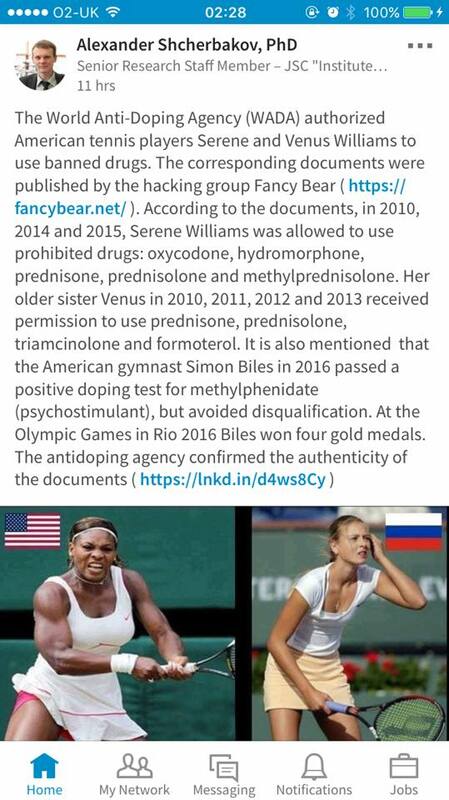 According to the documents, in 2010, 2014 and 2015, Serene Williams was allowed to use prohibited drugs: oxycodone, hydromorphone, prednisone, prednisolone and methylprednisolone. Her older sister Venus in 2010, 2011, 2012 and 2013 received permission to use prednisone, prednisolone, triamcinolone and formoterol. It is also mentioned that the American gymnast Simon Biles in 2016 passed a positive doping test for methylphenidate (psychostimulant), but avoided disqualification. At the Olympic Games in Rio 2016 Biles won four gold medals. 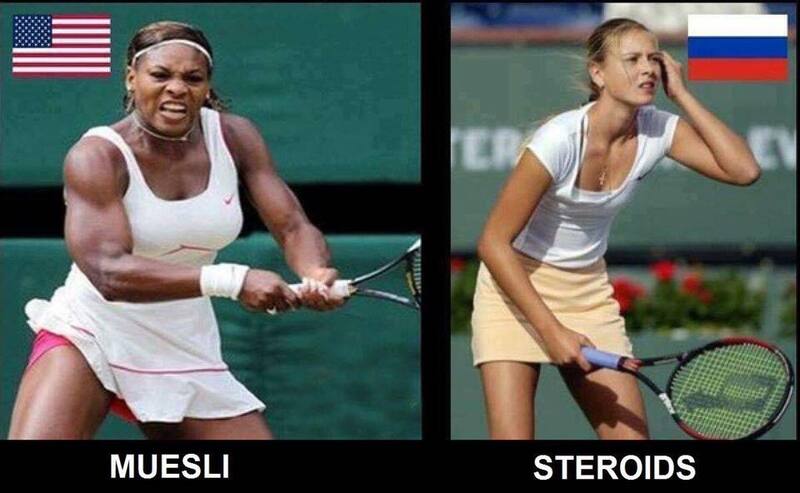 The antidoping agency confirmed the authenticity of the documents.